The Office of the President upheld the suspension of husband-wife tandem, mayor Jendricks Luna and vice mayor Joy Chrisma, of Lagayan town in Abra for dishonesty and grave misconduct. 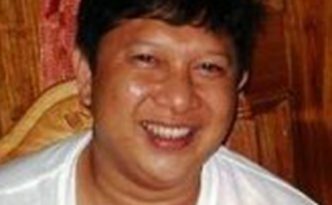 For alleged dishonesty and grave misconduct, the Abra provincial council suspended the mayor of Lagayan town for the third time. 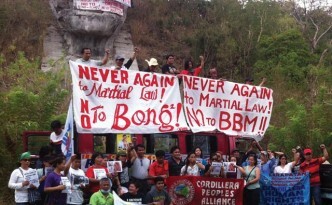 A second suspension order was issued by the Sangguniang Panlalawigan of Abra against Lagayan town Mayor Jendricks Luna and his wife Vice Mayor Joy Chrisna in connection with the construction of the Collago-Lucgay Road. The Abra provincial board suspended Lagayan town mayor Jendricks Luna and wife, vice-mayor Joy Chrisma for allegedly falsely reporting the completion of an over one million worth of a road project. Human rights and famers’ group on Tuesday, November 13, slammed the statement made by National Police Chief Oscar Albayalde and the Sandiganbayan’s deferment of the former first lady’s warrant of arrest over the conviction of Ilocos Norte Representative Imelda Marcos. Groups in Ilocos region hailed the November 9 Sandigan Bayan ruling convicting Ilocos Norte second district representative Imelda Marcos for graft and called on the government to affect her immediate arrest. 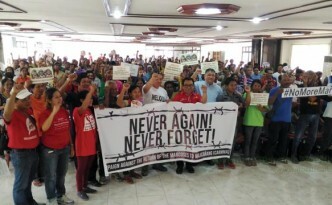 BAGUIO CITY — Ilocos farmers led by the Solidarity of Peasants Against Exploitation (STOP Exploitation) are set to hold a protest in the National Capital Region on July 25. The action at the Batasang Pambansa will coincide with the House of Representatives’ Committee on Good Governance and Public Accountability inquiry on the anomalous transaction of Ilocos Norte Governor Imee Marcos. LAOAG CITY, Ilocos Norte — Solidarity of Peasants against Exploitation (Stop Exploitation) condemns the inappropriate, anomalous and illegal use of tobacco excise tax from r.a. 7171 amounting to php 66.45 million in the procurement of minicabs, buses and trucks by the provincial government of Ilocos Norte in 2011 and 2012. BAGUIO CITY — The Ombudsman, in a recent resolution, denied the motion for reconsideration Beneco General Manager Gerardo P. Verzosa filed against the said office’s April 1, 2015 resolution finding probable cause in a graft complaint where Versoza was included.